Recently on Twitter, I posted a very short but messy how-to about transient restoration for loud or compressed recordings. I used a 1994 eurodance single as an example in my tweets. I’ve been doing that since 2008 which matches the time where I started to feel concerned about the loudness war. At the beginning, I was using only transient shapers. But over the time, I learned to perfect my method by isolating transients better and minimize any artefact created by my process. 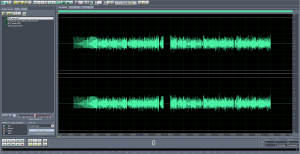 I think it’s time for me to write a more detailed how-to about my method of restoring transients or squished portions of audio on any kind of audio material. With very clean, transparent and artefact-free results. Yes, sir! If you happen to own the album or have that song lying around, you can even try to do it yourself, as it may give you very pleasing results (you can even attempt your own improvements). 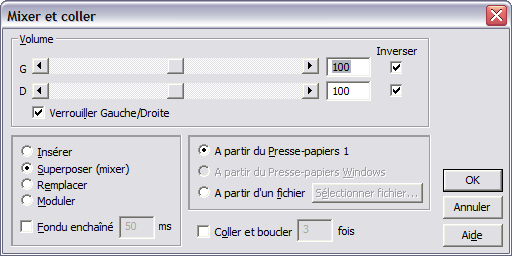 For this example I’ll be using a Touhou Project arrangement this time. It’s Beyond That Door by circle Diao ye zong. It’s not a particularly significant or bad example but still yeilds the usual bad habits of current day loudness-based mastering with your usual pushing to the “zero” (0dBFS), its limited peaks and flattened out longer portions. 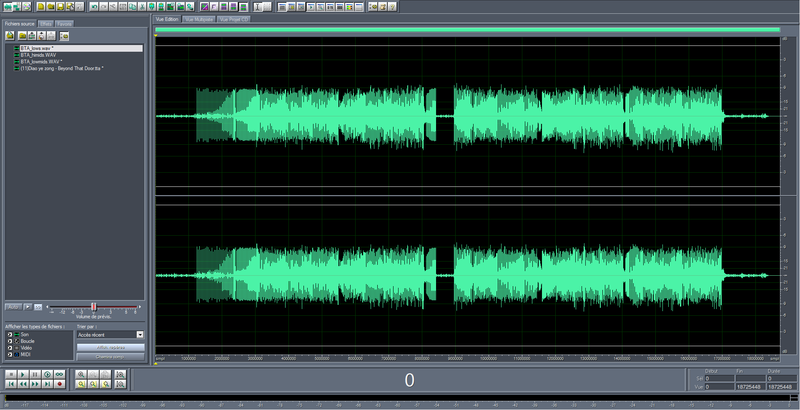 As I said not really that bad but we are going to bring that to almost late 80s-style mastering. Now, leave that instance alone. 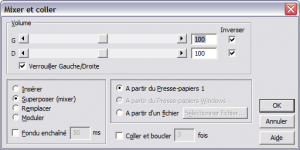 Create a copy of it and paste it in another instance. Your’ll need it for your actual job. You might need to paste it as many instances you need depending on how much frequency ranges you plan to work on (lows, lower mids, higher mids, highs, etc.). So we have the bass isolated. The goal is to have transients appear, which is the case here. It means there are some potentially restorable transients in that frequency range. Before starting, copy the entire audio of this band-passed low range into clipboard (Ctrl+C or Edit->Copy). It will be useful for later. We do that in order to create some sort of expansion matrix. If we stopped at this stage and pasted our band-passed shaped transients as is back to the original audio, without subtracting it, there would be a huge EQ shift in the bass!! Yes, my friends, isolated bass restored transients! Now it’s time to mix them back to the original song. But before doing so, in order to get rid of any possible artefact created by our process, let’s band-pass a second time to the same frequency range as before. Your filter settings must not get lost at this point. They should be normally still stored in memory as your last used settings if you did not mess up or if your program didn’t crash in the meantime. 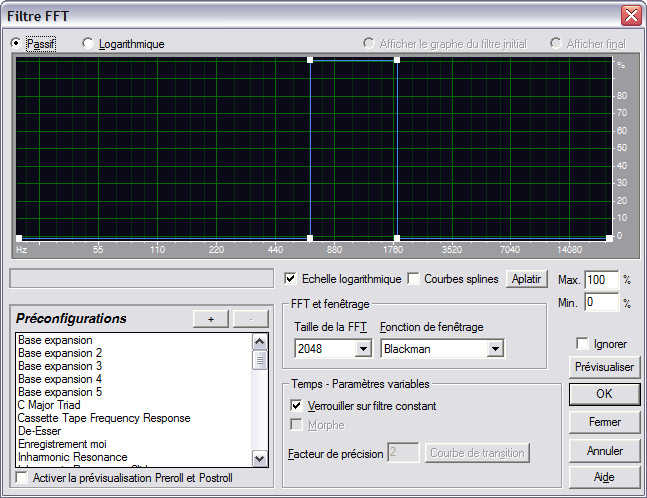 In case, you can write your frequency range down or store a preset in your audio editor. Now the waveform changed a very little bit. 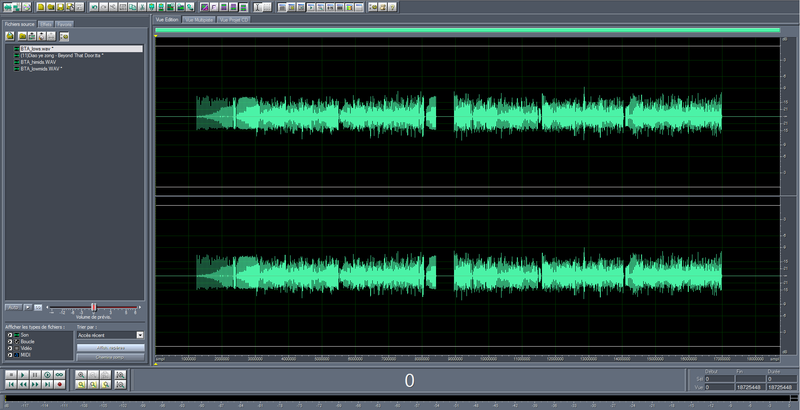 It’s time now to mix it back (paste-mixing) to the original song. Copy that bass restored transient audio instance into clipboard (Select all then copy). 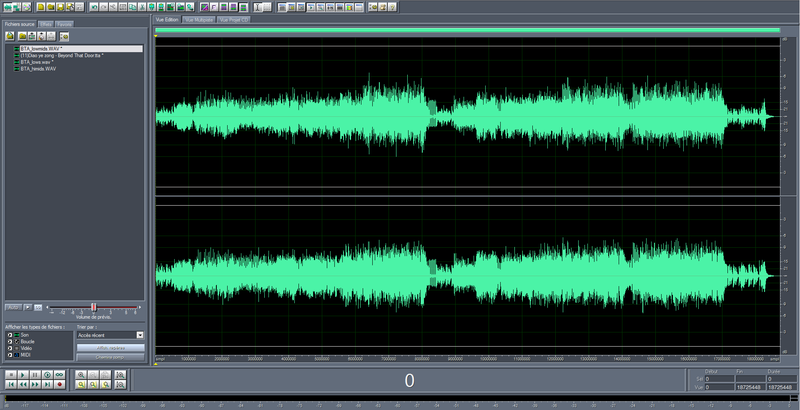 Go back the original audio instance (which has been turned down to your desired volume, here it was a 6dB reduction). 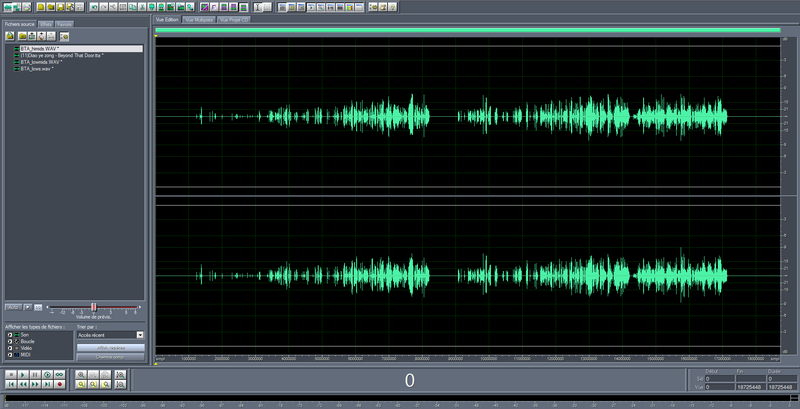 Put the cursor at the beginning at the audio (sample 0). Now, paste-mix what you’ve just copied at full volume with original phase (not inverted, don’t forget to untick “Invert” for both channels if using Adobe Audition) and enjoy the result!! All bass transients came back to life again! Listen to the song and see it satisfies you. If not, try different volume mixing settings (you might try to tame things down by setting mixing volume to something like 70% in order to prevent transient shaping gone out of control and possible clipping, or increase to something like 150 or 200% it it’s not enough for you). For this song I let it mix at 100% volume. So we took care of bass. All bass transients seemed to go up without touching at the quietest parts. This is starting to look really good! But we notice some parts still look flattened out, notably louder vocal or instrument parts like violins and pianos. These are definitely not transients. However, we’re going to use a similar method. Let’s go back to the bass instance and cancel everything we did or work on another instance you created or copied from your untouched original (with volume reduction applied) previously. We have to determine on which frequency range the squishing is occurring. Depending on the song, you may or not need to take care of the low or high midrange. Let’s do some trial and error and begin by the low midrange. 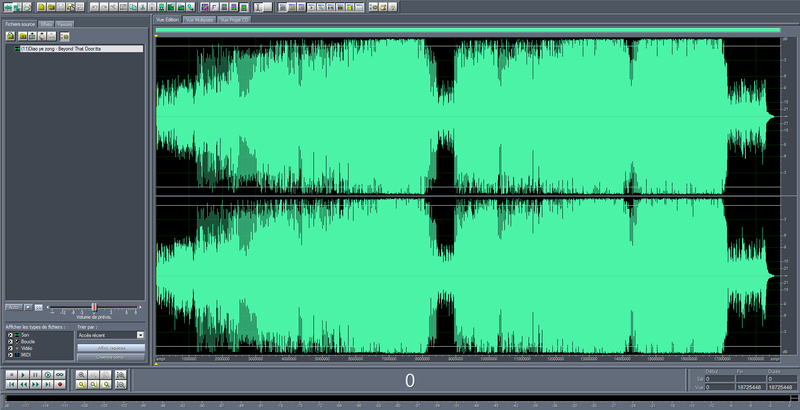 If you get something close to the squished parts you observed or the original waveform, then you’re on the right track. On the contrary, if your band-pass don’t reveal any transient or louder parts, then try another one. Before attacking, don’t forget to copy this band-passed low midrange audio to the clipboard, just like we did for the previous frequency range. 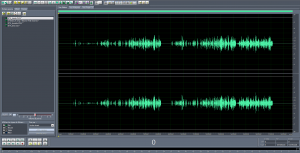 If there are still some quiet parts where nothing should be altered (parts matching to quieter parts where no restoration is required), just silence them out after selecting them, one after the other (Effects->Silence in Adobe Audition) to keep only your loudest parts restored. Now you’re ready to copy the result and paste-mix it back to the original audio at desired mixing volume. Note: this frequency range generally contains some snare components in most songs. Not in this one. However, if your audio does contain audible snare transients (even kick transients in most mid-90s Dance songs) in this frequency range and the shaping happens to go out of control, making transients really irregular in volume, then you can attempt limiting them, by using TLs Pocket limiter. Basically, you limit them at the volume threshold you desire (if you don’t want your transients to go over -6dBFS, choose a +6dB limiting), then reduce volume by the same amount, then delete 1 sample at the beginning of the audio (for 44100Hz audio) in order to compensate its VST delay. If you intend to perform transient and loud parts restoration on high-range, you have to be very careful as it is the most sensitive frequency range when it comes to artefacts. Actually, it’s in that frequency range that artefacts are the most audible. At this stage, there are 2 solutions. If the highs contain only short transients, then it’s best to use Michael Gruhn’s Transient Shaper instead with attack level to max (200 if I remember). 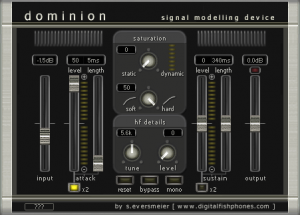 However, if it still contain longer louder parts, then use Dominion, but very carefully. You can start by reducing the attack level to something like 20 or 25 and try out some longer attack lengths. You can experiment longer releases when noise-gating too. But don’t forget that if your shaping goes out of control for highs then you’ll be more likely to kill the transparency of your song. So far, this waveform now looks amazing. And the song also sounds more open, more dynamic. As I unfortunately don’t own high-end or good monitor speakers yet, I can’t hear any obvious artefact using this method. I’m pretty sure it’s actually producing very minimal artefacts if none. However, if you happen to have high-end equipment and are able to pick some artefact of any sort, please let me know. Respectively, you have a 30s sample (with selected parts cross-faded) of the song used in this example, after my transient and loud part restoration attempt, as done in this how-to. 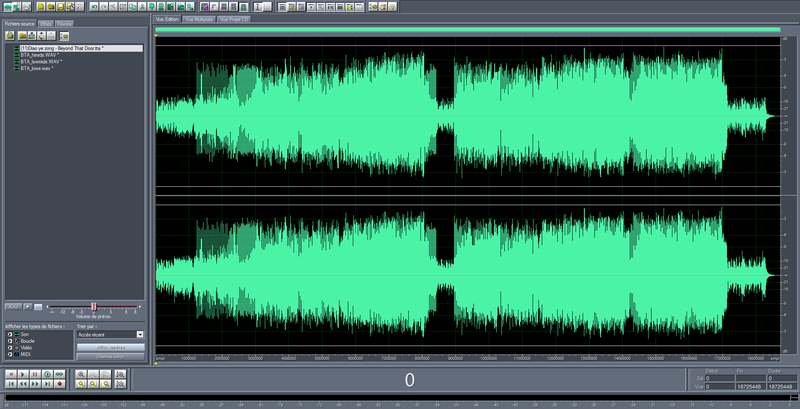 Then, the same song untouched with 6dB reduction. The 3rd example is an earlier attempt I did, a long time prior to writing this, using similar settings and method with slight differences. 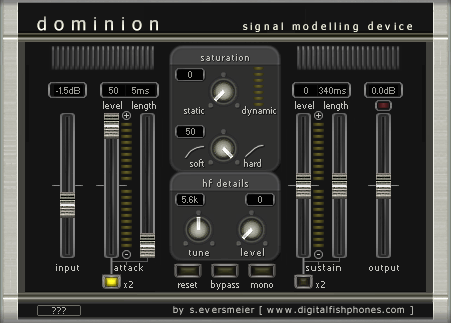 I personally prefer this sample, as I was a bit more tasteful in restoring bass transients. Feel free to comment if you have questions and remarks about my method, or if some parts look obscure or hard to understand to you, or if there are any mistakes or oversight. I hope I have been useful in helping you fighting the loudness war.